Grace Downie, 89, passed away on Monday, February 11, 2013 at Golden Living Center. Grace was born in Montgomery County, Georgia on December 24, 1923 to the late Mr. and Mrs. J. M. Downie. She retired as Assistant Field Director from the American National Red Cross after more than thirty years of service. In addition to her parents, she was preceded in death by her three brothers, Leroy, Paul and Jay Downie and her three sisters, Mae Holmes, Sarah Jones and Ila Wolfe. 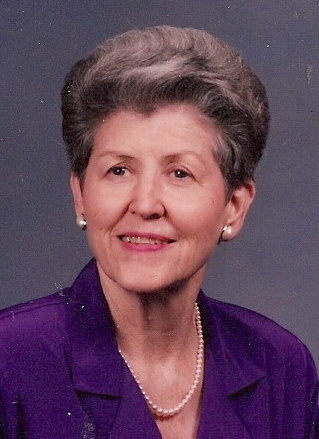 She is survived by a host of nieces and nephews including Dr. John Wolfe, Jr. and wife, Rhonda of Jesup, Gena W. Daniel and husband, Herschel of Jesup, Kathy Dent and husband, Larry of Gainesville, GA, Downie Wolfe of Tallahassee, FL and Nora Wolfe of Kennesaw, GA.
Remembrances may be made to the American Red Cross, Southeast Georgia Chapter, 41 Park of Commerce Way Building #200, Savannah, GA 31405.